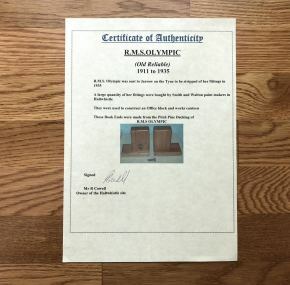 Back in 2004, I had a number of sets of bookends made out of pine decking from the Olympic that had been removed from the Haltwhistle paint factory. I kept two sets, and all the rest are long sold, but…. After my recent move, I only have space for one set of these; so it is a lucky day for one of you. The 2 pairs I kept 14 years ago were rather special since they contained 2 of the very few original bolts used to secure the decking to Olympic. 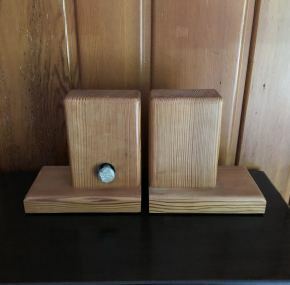 Each pair of bookends was identical in design, but of course, the graining is different. They really look sharp and are very handy for your liner books. 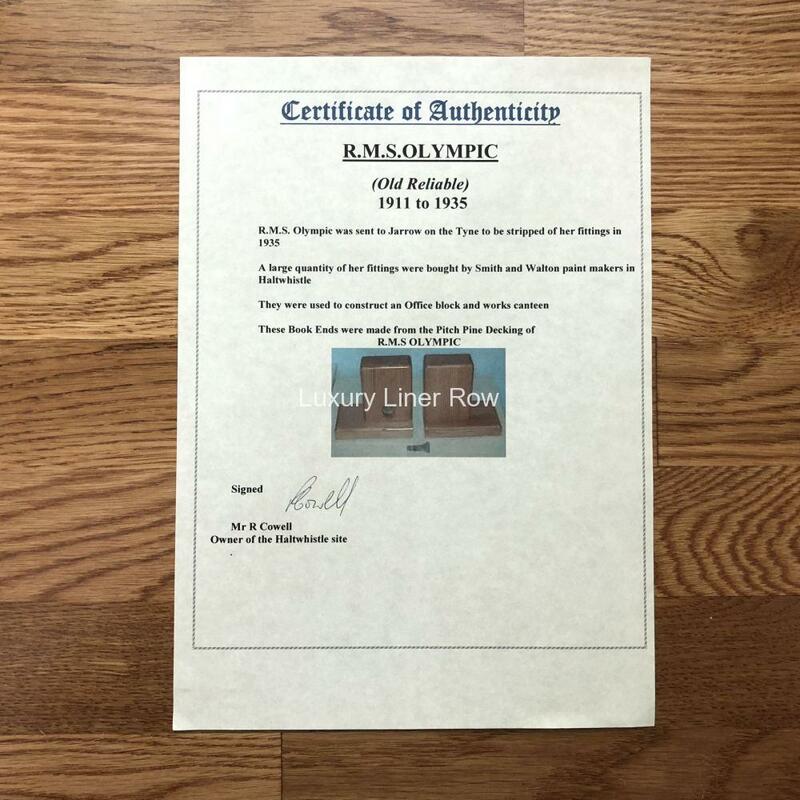 This set comes with a certificate of authenticity from Ray Cowell, the former owner of the factory who made the bookends.